Aushealth Physiotherapy "Your Northern Beaches Physio" are experts in treating Shoulder Pain on the Northern Beaches in Sydney. Shoulder pain is an incredibly common condition we see regularly in our clinic. It can be so debilitating and have a huge impact on your daily life – stopping you from doing things you like. Often it will keep you awake at night with a burning pain down your arm or stop you from reaching into the cupboards above your head. It can be a result of a specific incident or accident, or it can just start for no apparent reason. Pain can be a result of direct trauma, repetition or overuse, degeneration or referred pain from another joint such as the neck or upper back. Your shoulder is an extremely mobile joint (think of a golf ball sitting on a tee) that allows you to perform amazing tasks with your upper limb. But this mobility comes at a cost. It means that your shoulder relies heavily on muscle control to be able to achieve movement safely (think keeping the golf ball sitting safely on the centre of the tee). When you have a muscle imbalance (quite often weak muscles at the back and tight muscles in the front) or a traumatic event like a fall, the head of the humerus (golf ball) will no longer sit in the centre of its joint (the tee) and you will experience pain. This is the basis of many shoulder injuries. The most common shoulder injuries include: Shoulder dislocation/subluxation, Rotator cuff injury and/or tendinopathy, Frozen Shoulder (Adhesive capsulitis), subacromial impingement or bursitis due to dysfunction of bony and muscular structures and labral injuries. It is also very common that shoulder pain can be referred from injury or dysfunction to the neck and/or mid back. When dealing with shoulder pain, like other musculoskeletal injuries, it is imperative that you have a thorough assessment to ascertain your diagnosis and the correct line of treatment for your shoulder. This is what we do at Aushealth Physiotherapy. 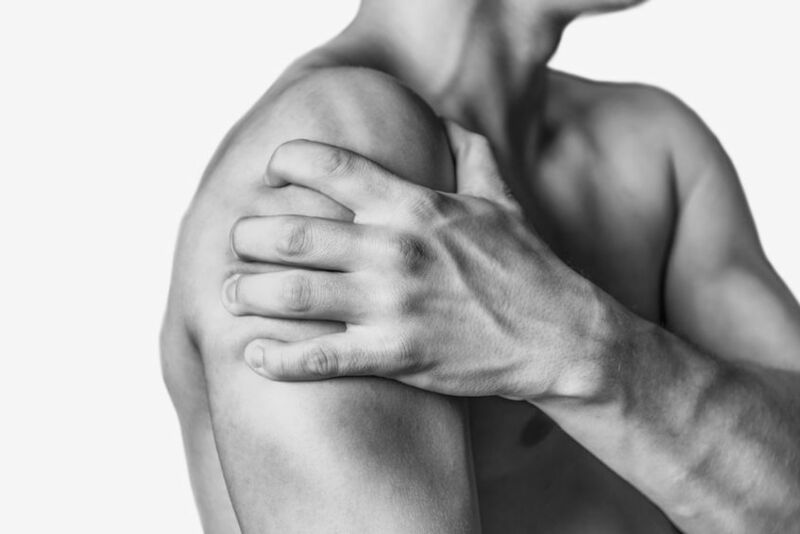 Our experienced Physiotherapists not only focus on your shoulder joint, but also look at surrounding joints to see if they are impacting on your injury. They will then take you through an individualised shoulder rehabilitation program which includes manual therapy (hands on treatment) strengthening, stretching, postural re-education and specific function tasks based on what you want to get out of the treatment. We also run a specific shoulder program called “Keep your Cuff” for patients suffering a rotator cuff injury. This 6-12 week program produces excellent improvements in shoulder pain and function and can help you regain confidence in your shoulder (and quite often avoid shoulder surgery). Watch our fantastic video on rotator cuff injuries below. Speaking of shoulder surgery, we work closely with the shoulder surgeons on the Northern Beaches to get people back to being strong following surgery, whether it be in our hydrotherapy pool, in the clinic or in our specialised gym. Our shoulder patients get great results. So, if you have shoulder pain, don’t put up with it. Let us help you get back to doing what you love, getting a good night sleep and living a painfree life. Give Aushealth Physiotherapy "Your Northern Beaches Physio" a call on 9905 0048 to make and appointment (or simply Book Online) and take the first step away from shoulder pain.